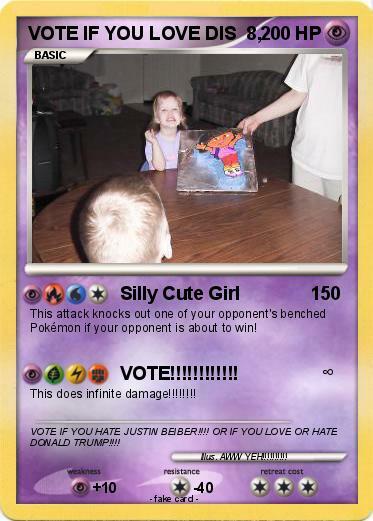 This attack knocks out one of your opponent's benched Pokémon if your opponent is about to win! Comments : VOTE IF YOU HATE JUSTIN BEIBER!!!! OR IF YOU LOVE OR HATE DONALD TRUMP!!! !